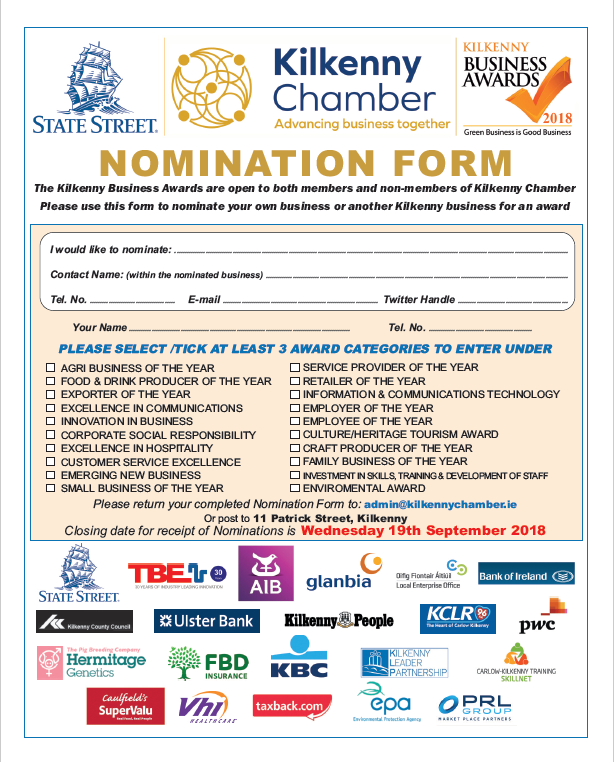 The Kilkenny Business Awards 2018 were successfully launched on 5th September in the Rivercourt Hotel, and nominations are now being sought. You can nominate your own business or someone else’s, and there are 20 award categories. The Nomination Form KBA 2018 is here. Once we receive it by the 19th September, the business nominated will be informed and asked to complete an application form. 60 companies will be shortlisted and invited for interview in October. The winners will be announced at the Gala Awards Evening in the Lyrath Estate Hotel on Saturday 17th November.